What does this imply? 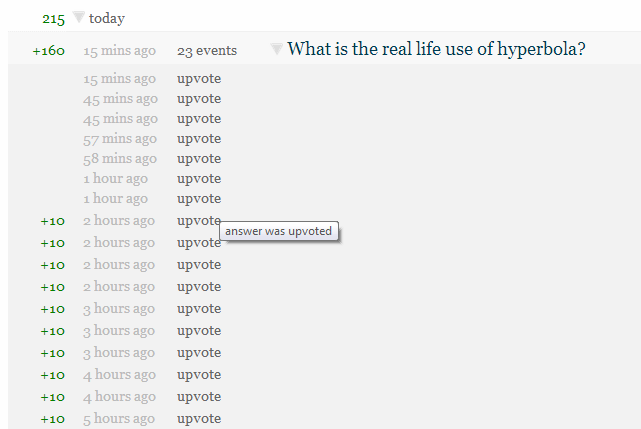 I don't get up votes once I reach 160 reputation for a question? Is this very common. There are 23 events and the reputation stopped just after 16 up votes. (Laughs) A bug need to be fixed in my account? Congratulations, you have hit the daily reputation cap. Tomorrow you will see that you've earned a shiny new badge if you haven't already. Not the answer you're looking for? Browse other questions tagged support status-bydesign reputation .